The Dominican Sisters of Mission San Jose were facing a common problem for congregations today: an excess of unused space. Or at least, that’s what they thought they were dealing with. Constructing a new LEED certified residence supporting the Sisters to age-in-place. Collaboratively addressing the Fremont community’s needs including a new community center on their campus. Developing new, stronger relationships with donors and mission partners. Partnering to establish the first dementia-specific day program in the city. By the time they came to us, the MSJs had already tried a few solutions that didn’t work out. Ideas like a Catholic Spirituality Center were aligned with their mission, but not what the greater community needed. Meanwhile, solutions like selling off parcels to be developed into multi-million dollar homes were viable… but not exactly aligned with MSJ’s values. The MSJs approached us to develop a strategic plan for their property and buildings. After meeting with the Planning Committee and working with the Sisters, we helped them realize the problem—and therefore the solution—went much deeper than expected. Although they lived their charism through teaching, aside from their adjacent school and music program, those that knew the congregation and individual sister’s outreach, their greater community interaction was limited. In revisiting their values and mission, the Sisters were able to recognize and address the missing link by understanding the greater community’s needs—and created a Bold Awakening culture shift to address them. REALM and the Sisters decided to explore solutions to unite the vibrancy of the congregation and the greater community. We held space to hear from diverse voices such as non-profit, civic and religious leaders. We emphasised the need for collaboration, and rooted each bold new action in MSJ’s mission. 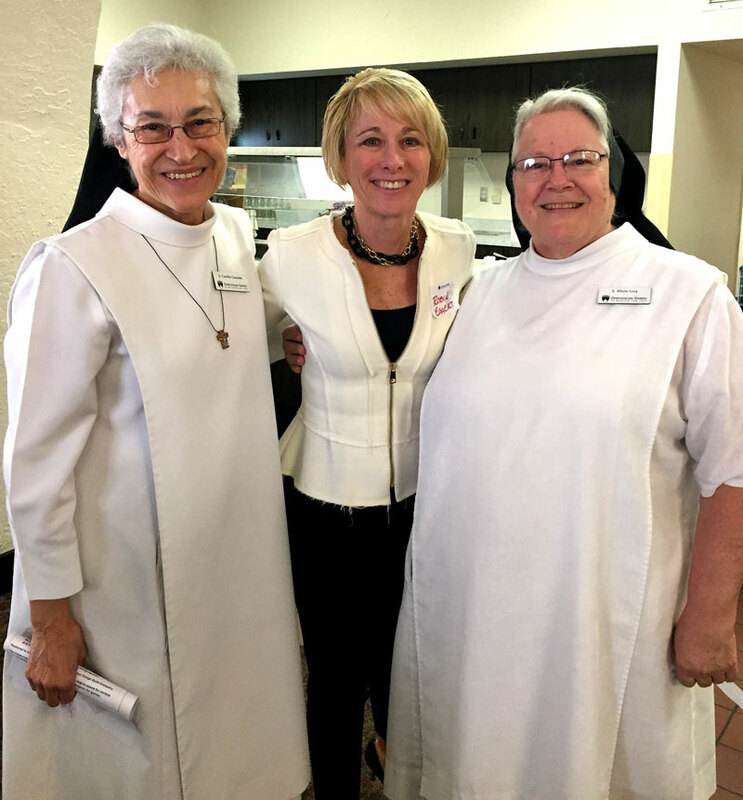 With Sisters serving as staff and volunteers. Promoting arts, education, spirituality and wellness. And raising over $25.5M for their new facility from over 4,000 donors (1,109 being new donors) and more than 20,000 gifts. For active and retired Sisters. "This community is built with time, hard work, generosity, love and patience. It has been an ever-widening experience of community. What an opportunity to share our sacred and beautiful mission! It makes me smile at God’s beautiful spirit. This is a place of mission that calls all of us forward in collaboration together." If you are ready to get started on the path to a stronger congregation, or just want more information on the services we provide, contact us today.